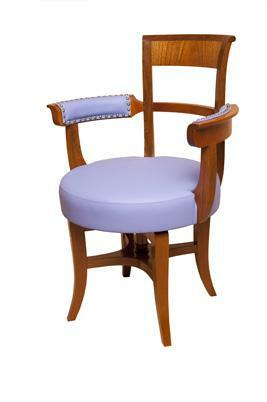 Swivel chair in Viennese Biedermeier style with cowhide upholstery. Wooden border matching the furniture outline. Solid wood armrests, finished with bronzed brass cap nails. Meticulous and fine rotary element, made entirely from solid wood, satin-gloss varnishing.